A kaleidoscope is an optical instrument with two or more reflecting surfaces tilted to each other in an angle, so that one or more (parts of) objects on one end of the mirrors are seen as a regular symmetrical pattern when viewed from the other end, due to repeated reflection. The reflectors (or mirrors) are usually enclosed in a tube, often containing on one end a cell with loose, colored pieces of glass or other transparent (and/or opaque) materials to be reflected into the viewed pattern. Rotation of the cell causes motion of the materials, resulting in an ever-changing viewed pattern. 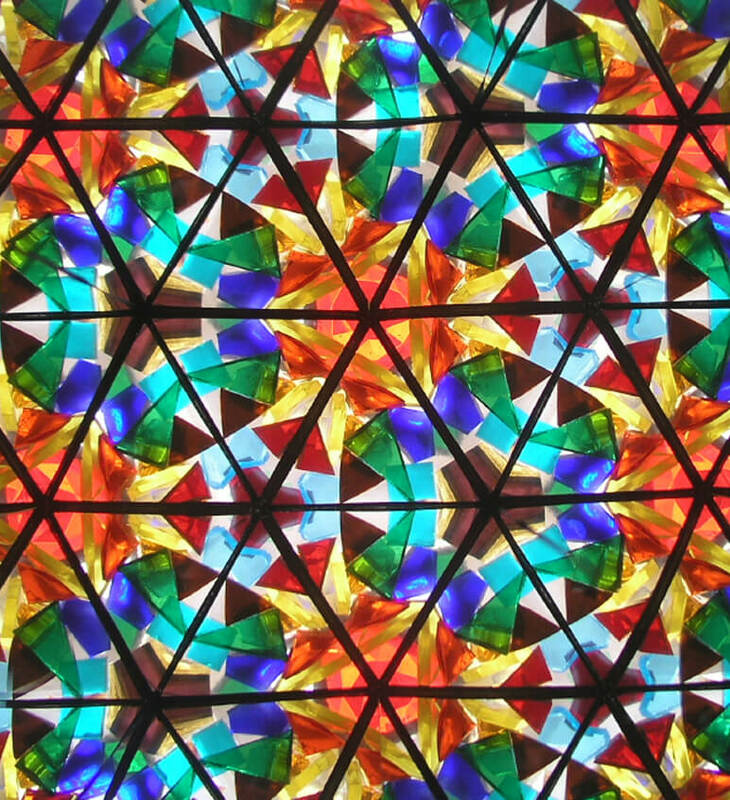 “Kaleidoscope” is a sonic expression of the view through the device of the same name. The first this noticed is all sorts of variation in color, soon followed by the realization that it all evolves using mirrors.